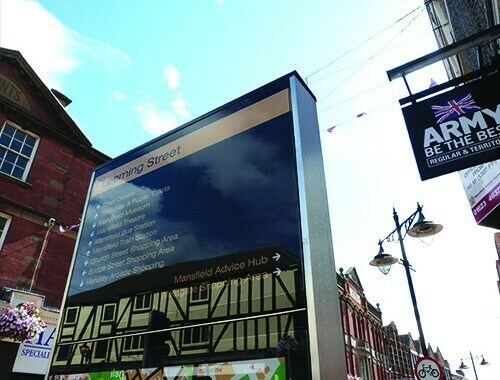 As a leading manufacturer of transport shelters and public signage, Trueform were appointed to design, manufacture and install the Mansfield Wayfinding and Totem signage scheme. Currently, the network consists of seven Wayfinding Monoliths alongside four Wayfinding Fingerposts. 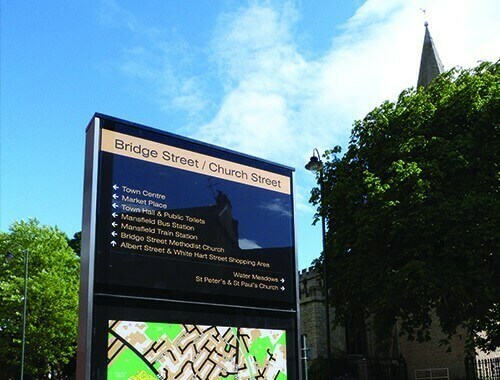 These units work closely together to create an interconnected navigation system with a simple interface to provide guide pedestrians through the town. 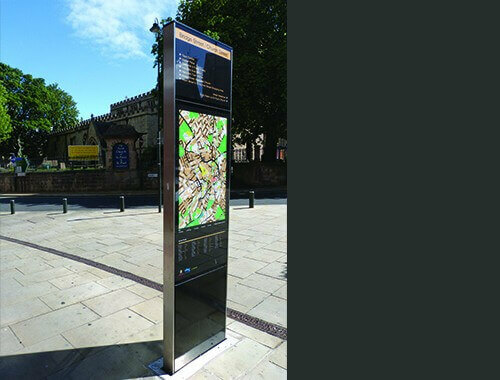 Perfect for any large town or city, a series of wayfinding totems provides unrivalled simplicity, offering pedestrians an easy way to navigate around town. The vibrant display presents information in an attractive format, while the sleek outer casing blends in perfectly with any urban environment. For an ideal blend of style and practicality, a Trueform Wayfinding Totem can.